Onour first day, we will go straight from the port to visit the Kennedy Space Center. Today is going to be a very educational day as we will be going in to see exhibits showcasing the significant events of space exploration. 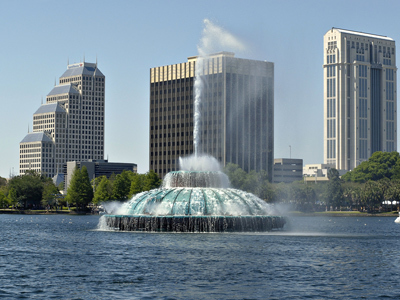 Experience world-class theme parks and get the chance to see some live alligators. All these on your first day on the cruise. Board Cruise Ship – The Norwegian Breakaway will be leaving Port Canaveral in Orlando, Florida at 4 pm. Take note of the boarding time which will begin at 12 pm and end at 2 pm. Lunch will be served on-board. Later tonight, we are having a Welcome Meet and Greet party for all the singles who joined our cruise. 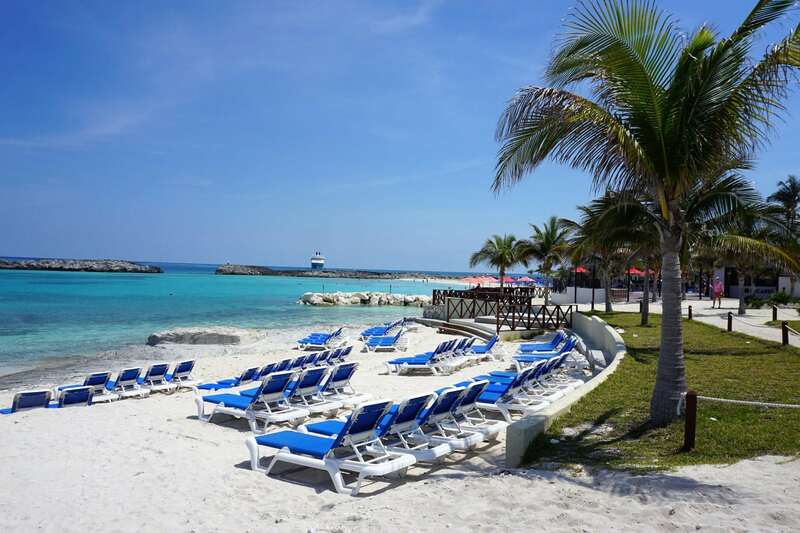 Cruise Day 2: Great Stirrup Cay, Bahamas (Sunday: December 29, 2019 / 8:00am – 5:00pm)On our second day, we will be visiting the Great Stirrup Cay – a tranquil island paradise reserved especially for NCL guests. We have many activities for you to enjoy. Go snorkeling and see the beauty of the underwater. Get an adrenaline rush by going on a WaveRunner® adventure. You can also try kayaking or simply choose to stroll along the white sand shores of the beautiful beach. Included Shore Excursion – Marine Life Encounter Eco Boat Tour & Beach Time – Great Stirrup Cay boasts of its three amazing beaches, all of which are lined with white powdery sand. We start our shore excursion at Bertram’s beach which is the closest to the pier. This beach is a total tourist magnet so expect it to be full of loungers all day long. If you want a to secure a nice shade or a spot in one of the hammocks under the palm trees, our advice is to come as early as you can. There are plenty of things to do on this island other than bathe in the sun. One can do a shopping spree, go on a foodventure, or en gage in sightseeing activities. For those who want a different kind of fun, you may want to visit the Bacardi Bar to dance and sing to rhythmic Caribbean tunes coming from the DJ’s booth. Then we proceed on our Eco tour which begins in the shallow waters of Berry Islands. We are going to go aboard a 40 ft. pontoon catamaran. On this tour, expect to see different sea animals. A naturalist will be coming to teach us all about Great Stirrup Cay’s wonderful ecosystem. You may also want to try petting and feeding the sea creatures we encounter along the way. Today is our first day at sea! It’s going to be a very relaxing morning which will begin with a nice breakfast to be followed by a paint-your-tote activity. This is the perfect time to unleash your creativity and show off your artistic skills. Get some inspiration for your artwork as you marvel at the view of the Caribbean Sea. We also have a fun-filled afternoon arranged for you. 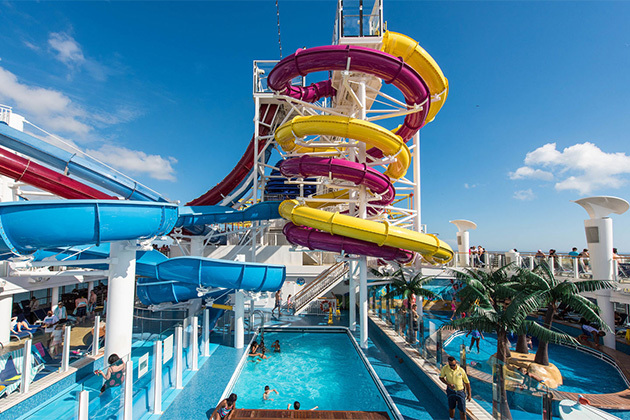 You are surely going to have a blast at the Aqua Park located 17 decks above the sea. It features five multi-story waterslides, two swimming pools, and four hot tubs. The daredevil in you may find it exciting to try the Whip which is two side-by-side twister slides or the Free Fall which is a drop-slide type that will make you rapidly plunge down into the water! Falmouth is a one-of-a-kind tourist destination in Jamaica, the heart of the Caribbean. What else can be said about this town except that it’s the perfect place for a getaway. Here you will come across exquisite architecture, immerse in a majestic nature scenery, and experience the vibrant culture and heritage of the country. In Falmouth, every second is an awesome adventure. 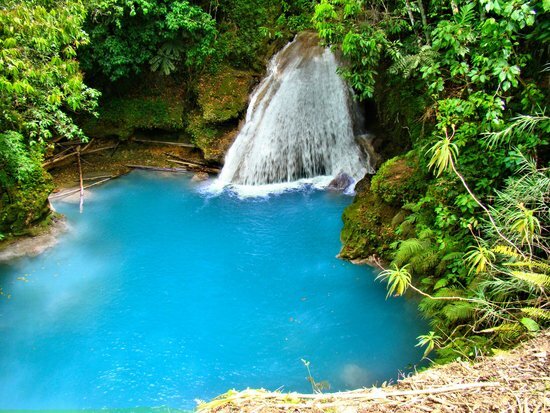 Included Shore Excursion – Get Wet and Have Fun Tour (4 1/2 hours) – For the first part of this shore excursion, the group will be heading to the Irie Blue Hole and Secret Falls. 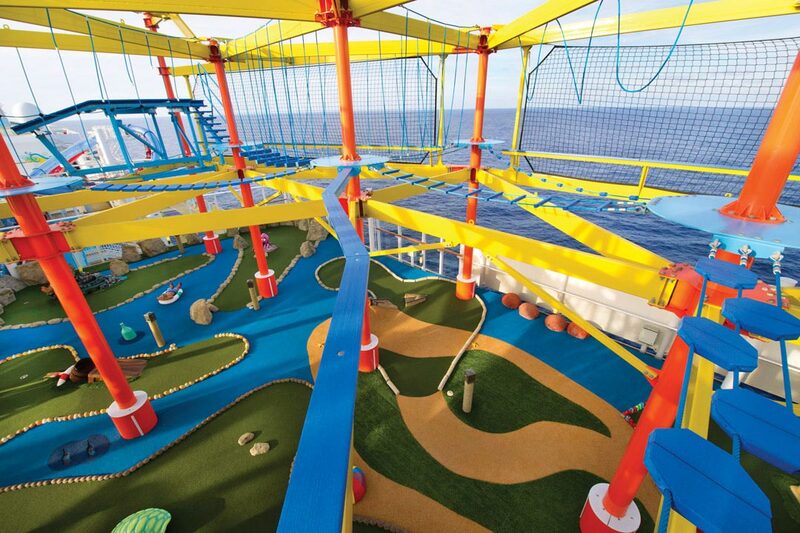 This is where the adventure-seekers come out and play. You can go cliff jumping and swimming. You can go on a hike to reach the height of the falls or explore the caves behind it. They also have a rope to swing on if you want to experience a Tarzan moment. Our next stop is going to be at the Bamboo Blue Beach. It’s a 20-minute ride to reach the next location and we will have our tour guide/driver to lead the way. You will be given plenty of time to rest during our stay at this resort. Sit back and relax to the sound of Caribbean serenade. For lunch, we will be driving back to Ochos Rios for a scrumptious feast. Before we end the tour and head back to the ship, you will get an opportunity to do some duty free shopping. 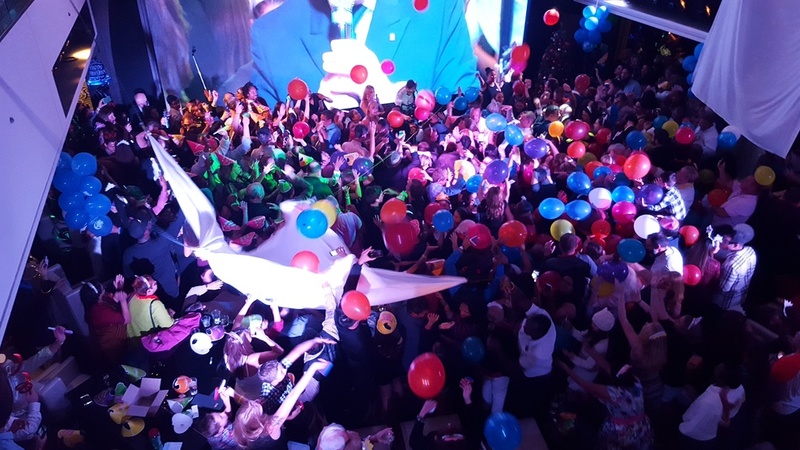 Dress Up – Tonight we PARTY as it is New Year’s Eve! Start the year with a bang as we go on an adventure to Grand Cayman – the largest of the Cayman Islands. Its popularity as a tourist destination is largely influenced by the Seven Mile Beach and the Stingray City, as well as its excellent diving sites. What makes its waters so fascinating to many is the fact that it is home to shipwrecks of both small and large vessels from decades ago. Included Shore Excursion – Stingray City Experience(3 1/2 hours) – Get ready to meet some friendly stingrays as we hop into the clear blue water of Grand Cayman. Submerge in waist to chest high water and get up close and personal with a group of wild stingrays. It is perfectly safe to pet and swim with these beautiful creatures. You can even feed them by hand with the food provided by our guide. 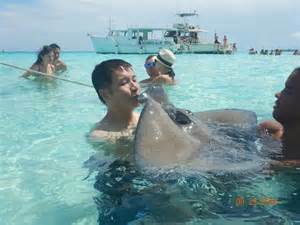 Legend says that going for a stingray kiss can bring seven years of good luck so don’t hesitate to grab the opportunity when you see one. After hanging out with the stingrays, we will go snorkeling to explore the deep blue of Grand Cayman. After which, we are going to call it a day and head back to shore. 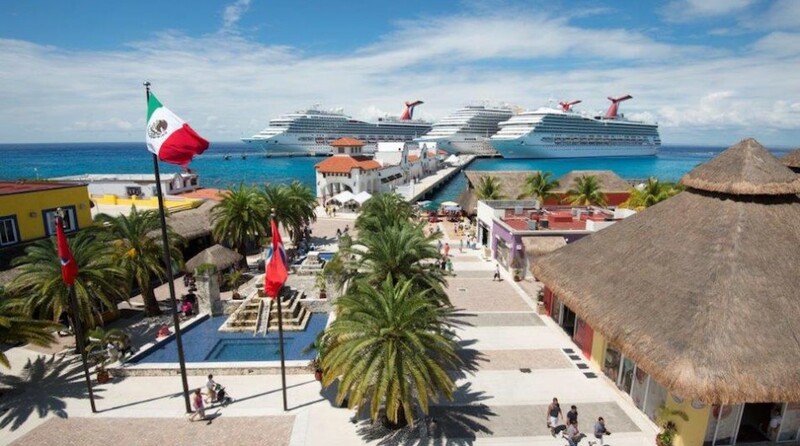 Say hello to Cozumel, Mexico – a mostly undeveloped island in the Caribbean Sea which is most popular for its scuba diving locations. Diving enthusiasts often visit Arrecifes de Cozumel National Park. There are numerous diving spots around the section of the Mesoamerican Reef and the Museo Subacuático de Arte’s submerged sculptures. Cozumel is also home to Chankanaab, an eco-park surrounding a lagoon with underwater caverns where dolphins, manatees and sea turtles live. Included Shore Excursion: Ultimate Snorkel & Beach Break – Today is going to be jam-packed with adventure. We will go snorkeling in Columbia Reef & El Cielo Reef. 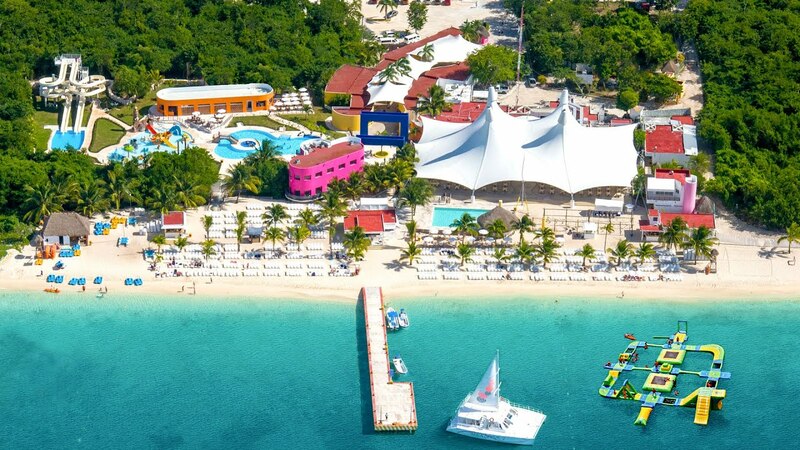 We will sail on a catamaran and visit Playa Mia Grand Beach Park which is dubbed as the best water park in Cozumel. Hit the open bar and enjoy a buffet lunch. Get settled on their comfortable lounge chairs or participate in their awesome watersports activities. This is going to be our last stop for this cruise so make the most of out of your remaining time on the island! inclined to sports, you can try the ocean-themed mini golf course instead. Today, the Norwegian Breakaway returns to Orlando, Florida and you may begin disembarking the ship at 8 am. Say good-bye to all the friends you’ve met on the cruise. We hope we see you again on your next trip! We will provide roommate matching to our clients who confirm their reservations at least 120 days before departure. If you would like a shared cabin and are booking 120 days prior to sailing we guarantee you a roommate match. If you are booking within 120 days of sailing we will confirm a roommate within 24 hours. What is a Singles Cruise? A Singles Cruise is a private group onboard a large cruise ship that is for singles only. There will be at least one singles host/hostess just for the group and lots of fun activities to particpate in. There will be cocktail parties, shows and different entertainment every night, poolside get-togethers, singles only shore excursions and dining tables just for the singles group. Most of our singles cruises offer a pre cruise hotel and get together. What’s is Included and Not Included in your Singles Cruise price? All of your meals and snacks onboard the ship, both in the main dining areas and buffets are included with your singles cruise. Room service is available and is usually complimentary but please verify on the ship as some late night service may have a charge. There are specialty restaurants on most cruise ships, these are not complimentary and charge a fee. Drinks are not included in the price of your cruise fare. There is complimentary fountain water, ice tea, coffee and a small choice of juices available in the buffet area 24 hours/day. The same drinks are available at all meals. All other beverages including soda, bottled water, alcohol drinks, juices and specialty coffees are an additional fee. Most cruise lines will allow you to bring onboard one bottle (750ml) of wine or champagne, per person (two per cabin), only in their carry-on luggage. A corkage fee per bottle will be charged should you wish to consume the wine in a public are. Check with the cruise line before boarding. Cruise lines are now offering drink packages that can be purchased prior to boarding or on your first day onboard. Packages vary from ship to ship but most offer soda packages, bottled water packages, wine and liquor packages, Below is a link to their drink package pages. Gratuities for the ships staff. Most cruise lines add approximately $13/day per person to your onboard cruise bill which is split up between your cabin steward, dining room servers and those hard-working behind-the-scenes employees who making sure the buffet is full at all times. It is customary, but voluntary, to tip your state room steward and waiter extra in cash if you feel their service was exceptional. Wifi – Internet Access – Stay connected while at sea. With Wifi signal throughout most cruise ships, you can enjoy Internet access with your choice of value Internet Packages. Are Taxes and Port Charges Included in the Price of a Singles Cruise? All taxes and port charges are included in the posted prices of our Singles Cruises. The price on the cruise website is the total price of the cruise. What are the Ages of Single Cruisers? Singles cruises are usually open to singles 21 years and older but the majority of our cruisers are in the age range 40 to 60s+ years. There are always singles who are younger and older on each cruise. If you are in your 30s or younger, please check with us before booking, to make sure the age group of the cruise you are booking is appropriate. Throughout the year age specific singles cruises are offered like a 20s and 30s sailings for the younger group. How Many Singles are on Each Cruise? The number of singles on each cruise varies based on the destination, season and of course the number of people who book. The Caribbean and Holiday singles cruises get the largest crowds. The size of our group on these cruises can range from 50 to 400 singles. Our international cruises draw a smaller crowd so you will feel like you are traveling with friends when sightseeing around the world. Who Travels on Singles Cruises? Singles who travel on singles cruises come from all over the US, Canada and even around the world. Most of our singles are professionals or retired people who are interested in having fun and meeting new friends. Most of us don’t like traveling alone and enjoy being part of a fun group. Are the Singles Cruises activities open to any singles onboard the ship? No, singles must book their entire reservation with us to take advantage of our exclusive singles activities and shore excursions. Free roommate matching is available on all our advertised cabins. We match singles with roommates of the same gender and close to the same age. Booking early will help ensure that you are matched with someone close to your age. We try our best to match you with the perfect roommate, but of course there are no guarantees. Please note that Singles Travel Service accepts no responsibility for roommate matching incompatibility such as sleep patterns, snoring, noise, or age differences. If you are concerned that any of these disparities may be an issue affecting the enjoyment of your vacation, we recommend you purchase a single cabin or better yet – bring a friend along who may also enjoy a singles cruise! Singles Travel Service does not conduct any type of background checks on it clients in general, and specifically does not conduct background checks on matching a client with another in a roommate situation. Best Single Travel makes no representations or warranties regarding compatibility between roommates. Our roommate matching is strictly for non-smokers – this is for the comfort of all our roommate matches, and it relies on the honor system at booking and common courtesy while onboard. Even if you don’t consider yourself a regular smoker, if you do choose to smoke during the cruise, then you will not have the option of using our roommate matching on any future cruises. Under no circumstances will Singles Travel Service be liable for any damages whatsoever, whether direct, indirect, general, special, compensatory, consequential, and/or incidental arising out of or relating to the conduct of any client or guest action or interaction between clients or guests, including without limitation bodily injury, emotional distress, harassment, and defamation. A deposit is required at time of booking your singles cruise, this will reserve your cabin space. Deposit amounts vary and are based on the length of cruise and the cruise destination. Deposit information for each cruise is posted next to the online pricing information. Full payment is generally due 90 days prior to the sailing date (but may vary by cruise line). For your convenience, charges will automatically be processed at time of final payment. Payments can be made by personal check, Visa, Mastercard, American Express and Discover. For those guests who book after the balance of the deposit is due, full payment is required at the time of reservation. What Documents do I Need to Cruise? The requirements described below are required by government regulations and policies. They are subject to change without notice. It is your responsibility to identify and obtain all required travel documents and have them available at the pier when necessary. The appropriate valid travel documents such as passports, visas and inoculation certificate (if needed) are required for boarding and re-entry into the United States and other countries. If you do not possess the proper documentation you may be prevented from boarding your cruise ship, or from entering a country, and you may be subject to fines. No refunds will be given to individuals who fail to bring proper documentation. Guests on consecutive sailings must ensure they have the proper travel documents for their entire cruise vacation. Domestic sailings are all sailings originating and ending in ports located in the U.S., Canada and Mexico, including Panama Canal sailings. U.S. citizens on closed-loop cruises (cruises that begin and end at the same port in the U.S.) will be able to enter or depart the country with proof of citizenship, such as a government-issued birth certificate and laminated government issued picture ID, denoting photo, name and date of birth. Alien Registration Card (Green Card) – U.S. lawful permanent residents will continue to be able to use their Alien Registration Card (ARC) issued by the Department of Homeland Security or other valid evidence of permanent residence status to apply for entry to United States. ARC holders (United States permanent residents) with expired cards may be considered “out of status” and may be denied entry/reentry into the United States. If your ARC was issued over 10 years ago, you should check the expiration date printed on the front of the card. If your card is expired, or it is about to expire, you should renew your card before you cruise. If you are holding an old edition ARC WITHOUT an expiration date, you will not be detained from entering the United States, but U.S. Customs and Border Protection highly suggests that you apply for a new card before you cruise. International Sailings are cruises other than those originating and ending in ports located in the U.S., Canada and Mexico including Panama Canal sailings. These are itineraries in Europe, South America, Asia and Australia/New Zealand including re-positioning sailings originating or ending in their ports. A valid passport is required for travel. For your protection, we recommend that your passport expiration date not occur within six (6) months of the sailing termination date. Ensure there are sufficient blank visa pages within the passport for visa stamps. U.S. citizens carrying an Official (maroon cover) passport must also be in possession of a valid Diplomatic or personal (blue or green cover) passport to allow ship embarkation. Visas – Based on nationality, many countries still require an entry visa. A visa may be included in your cruise vacation package. If not, you re responsible for getting your visa in the appropriate time period to travel. Depending on your itinerary, the ship may collect your passport to speed up the clearance formalities at each port of call. We suggest you bring with you a few photocopies of your passport’s personal page which includes the picture, and that you carry one of these photocopies with you each time you leave the ship. Our specialty and international cruises include all shore excursions (unless noted). Shore excursions are guided tours or adventures in a cruise ship’s port of call. If the shore excursion is not included in a Caribbean cruise price, information and booking instructions are sent approximately 60 days prior to each cruise. You can always purchase shore excursions directly with the cruise lines. Where do I Sit in the Dining Room? One of the benefits of cruising with a singles cruise group is that you never have to eat alone. There are separate tables of the dining room just for our group. We do not assign seats and we encourage you to sit with different dinner partners each night. We usually reserve late dining (8:00 p.m.) for our entire singles group. In the event that you wish to cancel your singles cruise, you need to email Info@singlestravelservice.com. As soon as you book your cruise and your cabin is reserved with the appropriate cruise line, a $100 cancellation fee becomes effective. After the initial $100 please follow the cruise line’s cancellation policy below. When calculating the days prior to sailing, the day of sailing should not be considered as one of the days. The day of sailing is considered the first day of the cruise, therefore, the penalty period will commence one day prior to the day of sailing. Do You Recommend Travel Protection? Singles Travel Service recommends that you purchase a travel protection plan to help protect you and your travel investment against the unexpected. Travel protection plans include coverage for Trip Cancellation, Trip Interruption, Emergency Medical and Emergency Evacuation/Repatriation, Trip Delay, Baggage Delay and more. Will a Cruise ever be Modified or Cancelled? The safety and satisfaction of our guests is always the #1 concern of the cruise line and Singles Travel Service. The cruise line or Singles Travel Service may modify, change or cancel a cruise at any time and for any reason whatsoever. A hosted group departure may also be modified, changed or cancelled and may go un-hosted should there be an insufficient number of guests. Do Singles Cruises Cost More then Regular Cruises? Some singles cruises include shore excursions in the prices and some of the singles cruises do charge more than a normal (non-single) cruise. As a singles cruiser you get a private host and can do all the activities included on the cruise plus all the exclusive singles activities. Can I make a Last Minute Cruise Reservation? Do not purchase you air to until we confirm your reservation.